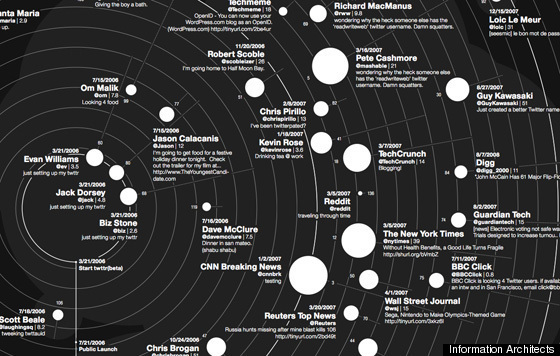 Information Architects has created a mind-boggling map of Twitter's top 140 most influential users. 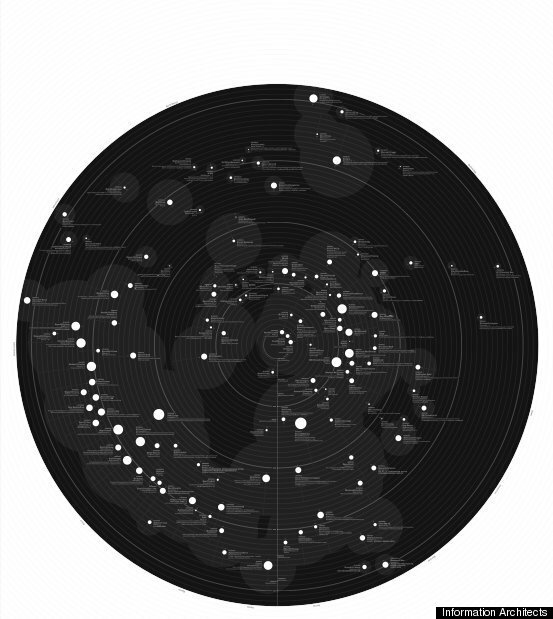 The "Cosmic 140" sorts the top tweeters by "#name #handle #category #influence #activity," as well as "[w]hen they started tweeting and what they first said." 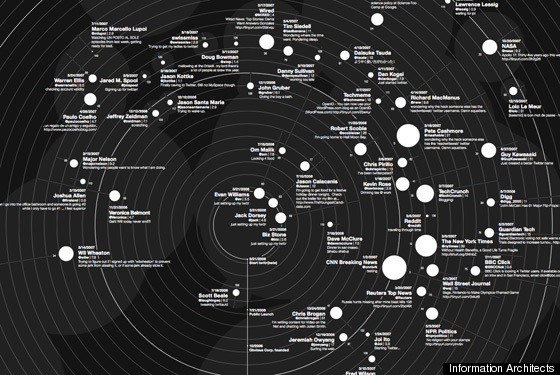 Check out the fulls-size version on Information Architects here (it's a lot to take in).